It's time to show you details of the view B of the Zlata skirt pattern. 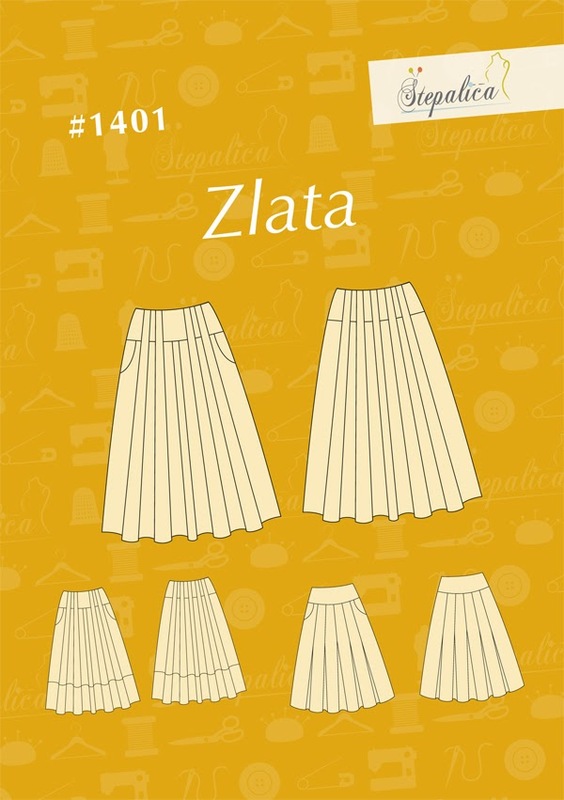 After the original version of the Zlata skirt was made, I realized I wanted to make a pattern for it, as I saw a potential to style the skirt in various ways. I thought the belt loops and the transition between them and the waist yoke would look great if the yoke and the belt loops were made in contrasting colors. Following that idea, I made another alteration to the pattern, by adding a separate border, which would give a great balance to the skirt. And that's how the view B of Zlata skirt pattern was made. Basically, these two variations aren't very different. 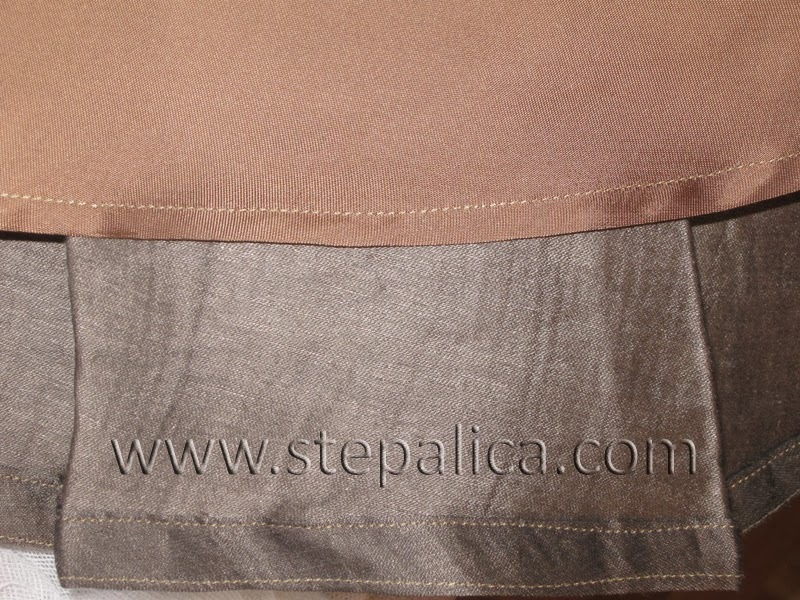 This skirt was made of some double faced linen blend in golden-brown tones. Indeed the waist yoke and the border enhanced the cut of the skirt and since the skirt is made in rather neutral colors it instantly became one of my favorite garments. It is very easy to match and it's a true eye catcher. I lengthened the skirt a bit as I wanted to make the skirt as classic as possible, and to balance the volume of the skirt by extra length. Please note the pattern is several centimeters shorter than the skirt. This time I didn't edgestitch the pleat folds because the linen I worked with was rather fluid and the pleats weren't completely equal and symmetrical. Had I edgestitched the pleat folds, the asymmetry would have been much more prominent. Unfortunately, lack of the stitches will make the skirt more difficult to maintain, especially after the skirt is washed, as the pleats will completely disappear.But, we'll talk more about maintenance during the sewalong. 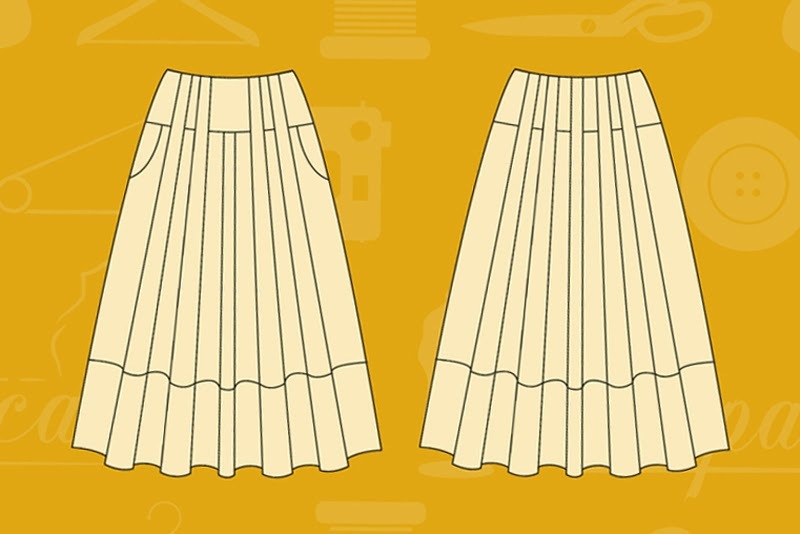 The skirt has an invisible zipper installed at the left side seam. The skirt was hemmed by machine, and the raw edge was folded twice before it was sewed.